It’s Time D-Heads! 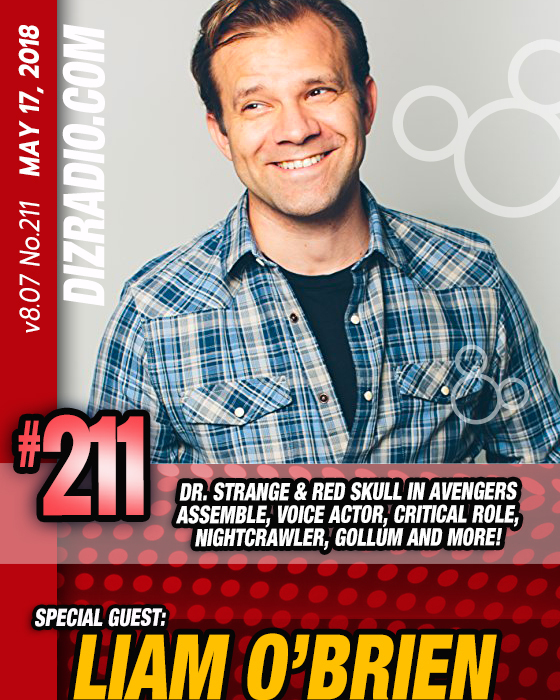 This week we return after a short hiatus and we welcome Voice Actor, Actor and more LIAM O’BRIEN (Voice Actor as Dr. 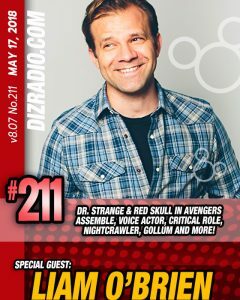 Strange and Red Skull on Avengers Assemble, Star Wars Rebels, Critical Role, Gollum, and more) to the show! 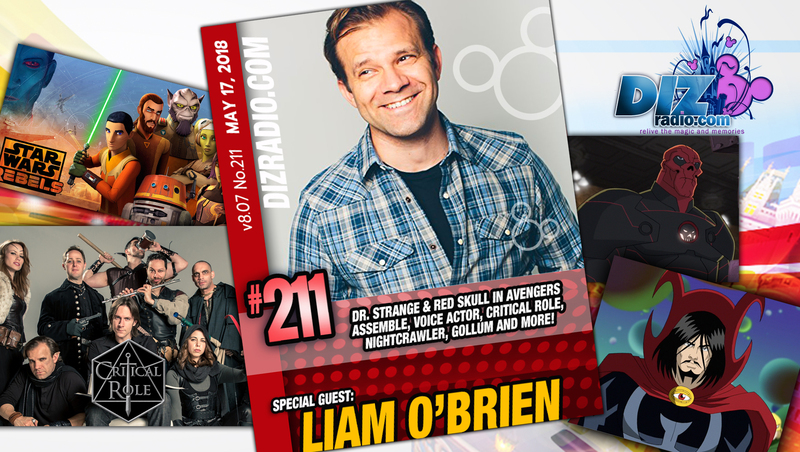 Liam stops in and discusses voice acting, Critical Role, Playing Dungeons and Dragons, his experience as Gollum, fun stories and being part of franchises such as Marvel, Star Wars and Lord of the Rings and more. In addition no show is complete without the D-Team and you ask the questions and Erin has the answers in I Want to Know. Frank brings you inspiration direct from Walt himself in the Disney Quote of the Week while Domenic gives you the tips and tricks for your vacation in The Short Leash. Michael is back live in the parks as he tackles Walt’s Footsteps while Randy has the latest in Disney Multi-Media. And we have all kinds of magical goodies for you this week! There is news fresh off the D-Wire with news about Walt Disney World, The Magic Kingdom, Disney XD, Star Wars Rebels, Marvel Entertainment, Epcot, The Disney Channel, and so much more.